What would happen if you had an electrical incident on your plant and it was found the Electrician you had hired from a labour hire firm did not have a current electrical license? Since 2013, when the Council of Australian Governments (COAG) decided not to proceed with national occupational licensing scheme, state governments have had to investigate alternative options to improve labour mobility after the disestablishment of the National Occupational Licensing Authority (NOLA). During the last decade there have been 321 electrocution deaths in Australia and an unknown amount of injuries and close calls. These are alarming figures, where all of these events could have been prevented. Everyone has a responsibility not to become complacent, leaving your organisation and electrical personnel exposed if an incident was to occur. 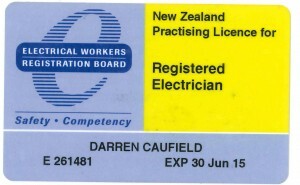 Many Electrical Authorities and Associations have websites to enable Employers and Electrical Workers to check their Licensing requirements for working within a different Country or State to where they completed their Trade. All licenses need to be renewed at some duration in time. So always check you and you employees are current. 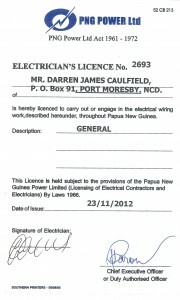 Correct Electrical licensing is a priority to Jamestech, ensuring ourselves, our employees and our customers are not exposed to working unlicensed. Whether Abroad or within Australia, Jamestech guarantee our employees are correctly trained and the employees licenses are acceptable to the Specific Governing Authority. Jamestech Management has extensive knowledge of all Electrical Statutory and Licensing requirements and support all our staff at no extra costs where expert assistance is required on site. 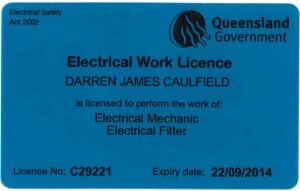 With Jamestech being a Licensed Electrical Contractor (Accredited Master Electrician), and a Registered Training Organisation, we understand Electrical licensing and the ongoing training requirements within the Mining, Refining, Oil and Gas, Electrical Supply and Distribution Industries. Please contact the friendly Jamestech team at anytime where you feel we may be able to assist.